WordPress.org is independent while WordPress.com is dependent but all belong to the same company. WordPress has being the best place to create a website or blog fr your business with some nice design and and plugins. Today we want to through more light on what and how this platform is being differentiate in our community just read and if you want to created a website for your business make sure you a good theme. WordPress.org, your host your own website. 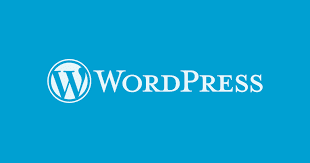 WordPress.org is where you’ll find the free WordPress software that you can download and install on your own web server. WordPress.com, you have the privilege to install as many themes you like. You will also customize theme according needs. WordPress.org, you have to install custom themes or better more develop your own with PHP and CSS. WordPress.com, you can upload all plugins free or paid according your requirements. WordPress.org, you can not upload plugins.There are a lot of built in plugins. WordPress.com, integrate your site with Facebook, Twitter and other social networks. WordPress.org, you can install a plugin to enable sharing functionality on your site. Popular features like sharing, comments and polls are included in WordPress.com. But in WordPress.org, plugin is required to extend your site’s functionality. WordPress.org registration is not required. Personal support and the WordPress.com forums are always available in WordPress.com. WordPress.org, support forums is available for assistance.